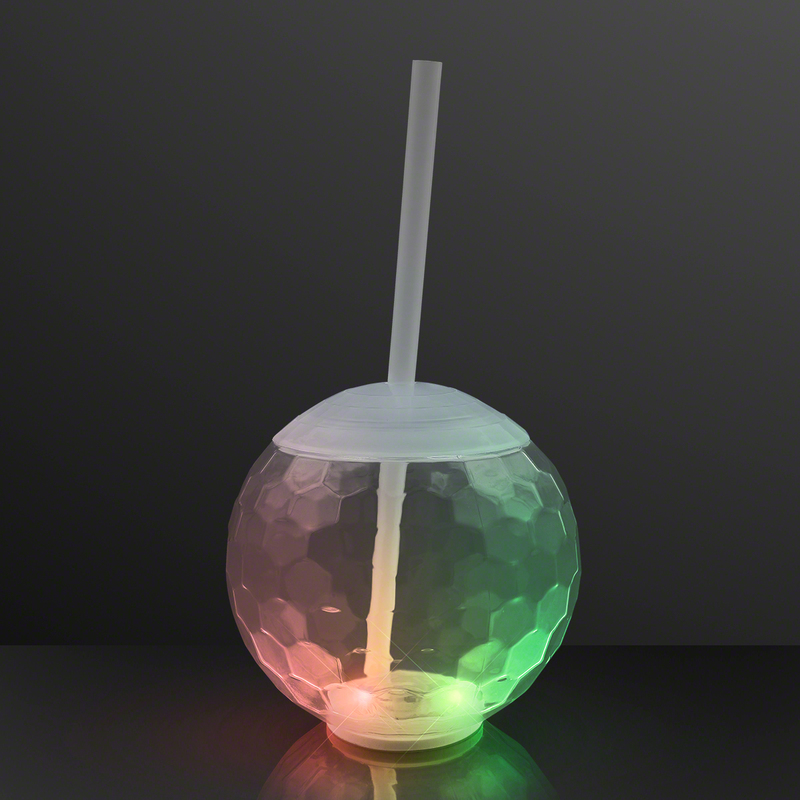 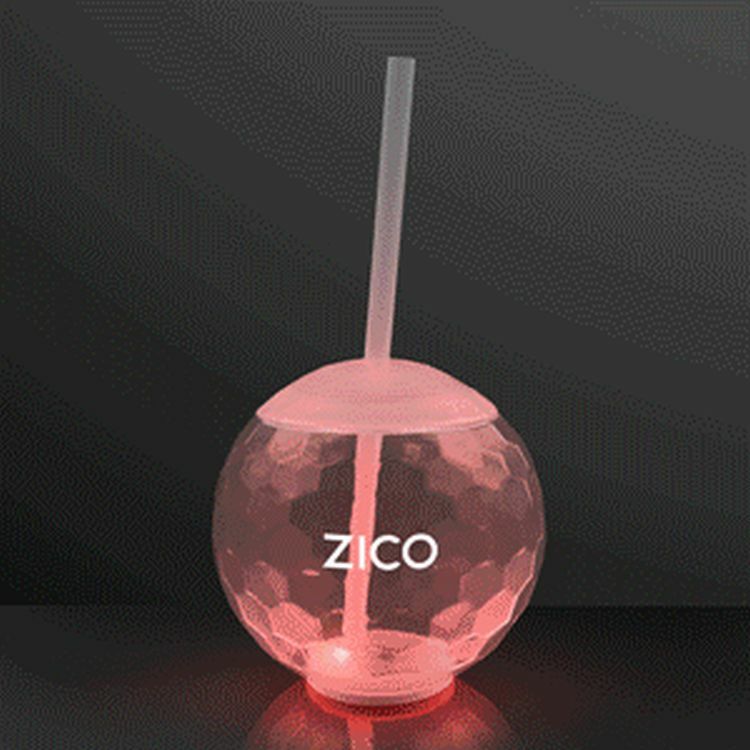 Spills on the dance floor are a thing of the past with Light Up Ball Tumbler Disco Party Cups! These fun hexagon-facated cups come with a screw on lid and flexible, reusable, straws for non-stop fun. 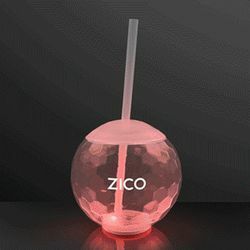 To activate your Flashing Disco Party Cup, press the button located at the bottom of cup for a slow color changing/blinking pattern combination.